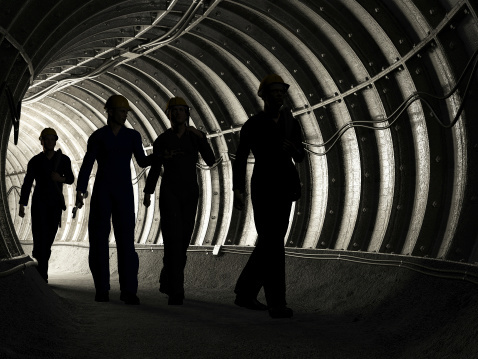 The mining stocks and materials sector exchange traded funds are gaining momentum as the steadily rising metal prices, along with the stronger-than-expected U.S. employment numbers, help improve the industry’s outlook. On Friday, mining-related ETFs led the Tuesday advance, with the PureFunds ISE Junior Silver ETF (NYSEArca: SILJ) up 9.2% and Market Vectors Steel ETF (NYSEArca: SLX) up 6.9%. Meanwhile, the broader iShares MSCI Global Metals & Mining Producers ETF (NYSEArca: PICK) rose 5.9%, Global X Copper Miners ETF (NYSEArca: COPX) increased 6.0% and SPDR Metals & Mining ETF (NYSEArca: XME) advanced 5.7%. The materials were the best performing S&P 500 sector, with the Materials Select Sector SPDR (NYSEArca: XLB) 1.7% higher Friday. Major industrial metals and precious metals are lifting mining sector. Comex copper futures were trading back at $2.2715 per pound Friday, near six month highs. Additionally, the ongoing rally in precious metals is also bolstering the mining sector. Gold futures were at $1,269 per ounce and silver futures were hovering around $15.7 per ounce.